Prismatic Connections Shakti. Plus Over 2000 Advanced Energy Workshops for Physical and Spiritual Evolution. "As Above so it is Below, As in Heaven so on Earth"
Prismatic Connections Shakti is a series of Attunements that represents the fourfold structure of the energetic body. Prismatic Connections Shakti Workshop through its 4 Empowerments and techniques, empowers your energetic self to balance and harmony. As a prism distributes the different light bands as something acting as one, so does the energetics of this Workshop distribute certain Divine (the one) vibrations to you! Each individual has the exact same basic structures but they are outwardly and inwardly expressed differently. As a potter uses the basic ingredient of clay to mold his pottery, these Attunements will harmonize all your energy centers. Prismatic Connections Shakti Empowerments will balance your soul matrix. The "Heart" of a living being is a zero point or source of supernal light established within the higher dimensions. This Zero point is the light of pure mind! You are also given a powerful Prismatic Connections Shakti technique that is a giant key to a spiritual and productive life. This process is also a powerful key to an Intuitive mind! 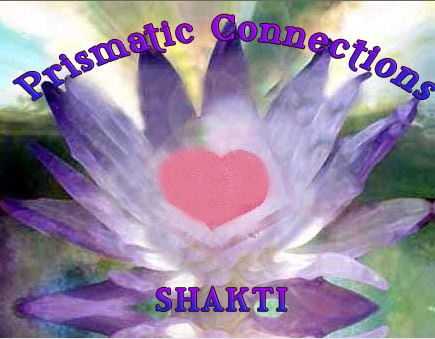 You will receive the Prismatic Connections Shakti practitioner manual via Email, All Attunements and a Printed certificate. Plus full email support is given before, during and after all my Workshops.